Something has got to give as two teams that have proved unconquerable thus far lock horns in the semi-finals of the FA Women’s Super League Continental Tyres Cup this weekend. 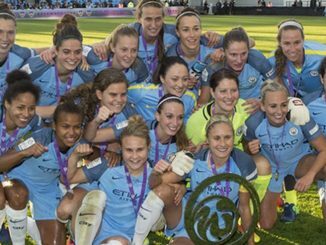 Manchester City go to Chelsea as they bid to reach a second successive final – they were crowned champions in October 2016 after beating Birmingham City 1-0 courtesy of an extra-time Lucy Bronze winner. 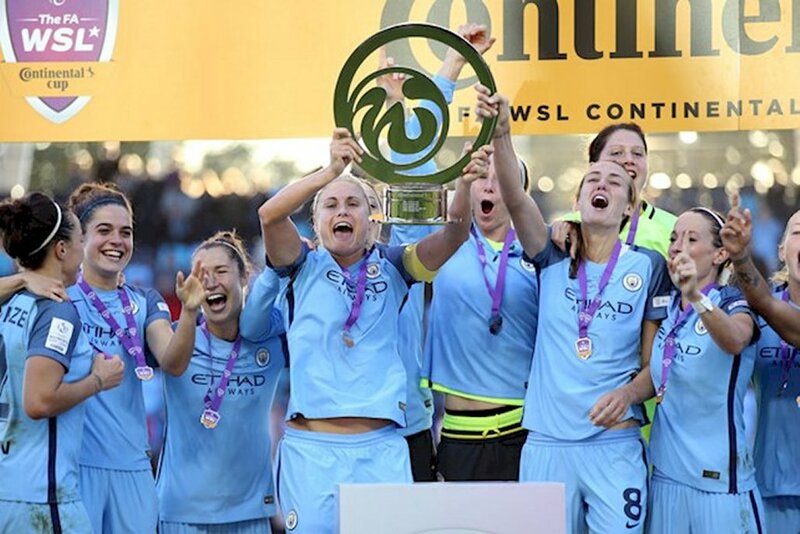 However, just like Nick Cushing’s City, the Blues are so far unbeaten in all domestic competitions, with Emma Hayes’ side bidding to lift the Continental Tyres Cup for the first time. Sunday’s hosts Chelsea kept themselves breathing down the necks of City in FA WSL 1 with a crucial 3-2 victory over Arsenal at Kingsmeadow last weekend, Sari Van Veenendaal’s late own goal settling matters. 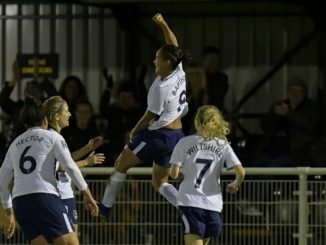 They finished top of Group Two South with a 100 per cent record and Fran Kirby’s hat-trick inspired the Blues to a 5-1 win over Liverpool in the quarter-finals. Cushing’s troops also won all four of their group games and in the quarter-final they ran out 2-0 winners at Bristol City. 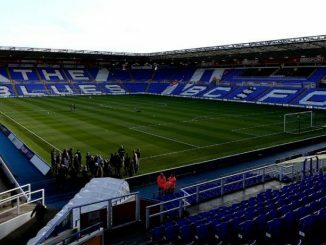 Last weekend, the FA WSL 1 leaders kept themselves two points ahead of Chelsea with their sixth win in as many games, Jill Scott hitting a brace as they beat Reading 5-2. Chelsea and the Citizens were set to meet in south west London in the league in December but that clash fell foul of the elements and has been postponed until February 1. When these two teams met in the FA WSL Spring Series earlier this year, a thrilling clash was settled by a strike from Toni Duggan, Cushing’s team running out 1-0 winners at the Academy Stadium in Manchester. Nadia Nadim’s arrival was announced back in September last year but the Denmark international only officially became a Citizens player this month. It took the 30-year-old forward, who has had spells with Sky Blue FC and the Portland Thorns in the United States, took just six minutes to open her account against Reading last weekend, nodding home from a Nikita Parris cross. Chelsea midfielder Maren Mjelde said: “It is going to be a really tough game, but these are the games we really want to play in. “We are all so motivated to play against Manchester City. “Against Arsenal in our last game, there were a lot of goals and we normally don’t concede goals, so we need to be tighter. Maybe that’s what we need to do better if we want to win. Manchester City manager Nick Cushing said: “Emma and I have spoken before, individually and in press, about how these are real tough games and they are always high-intensity, that’s what coaches and players want. “We want to go up against the best and we want to show we can play football and that our style and beliefs are able to win games. “We expect tough games against the top teams.